With the moon of Eid shining bright, the mood is joyous. Muslims all over the world celebrate the breaking of the fast by meeting friends and relatives and having hearty meals. A major part of the celebration is dressing up and be it men, women or children, everyone is dressed their best on the occasion of Eid. 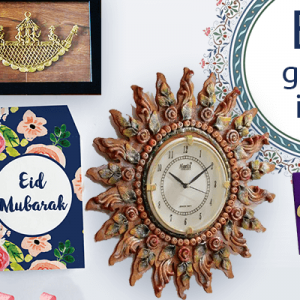 If you are looking to buy outfits or even gift your Muslim brethren on the solemn occasion of Eid, here are some options you might want to consider. Below are some great Eid dressing ideas for men, women and kids. 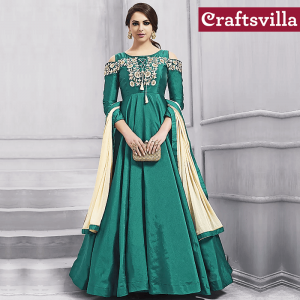 This silk semi-stitched anarkali suit from Craftsvilla is for those looking at making a style statement without shouting out loud. Anarkali style, this green suit has a silk top and shantoon bottom combined with a chiffon dupatta. Light embroidery adds to its elegance. 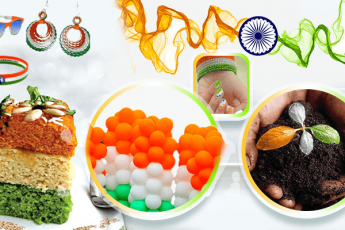 Get coupons of Craftsvilla on Greatbuyz for your online shopping. For those looking for something traditional yet stylish to wear on the occasion of Eid, this pretty green suit with artistic embroidery and semi stitched sharara pants is a great choice. 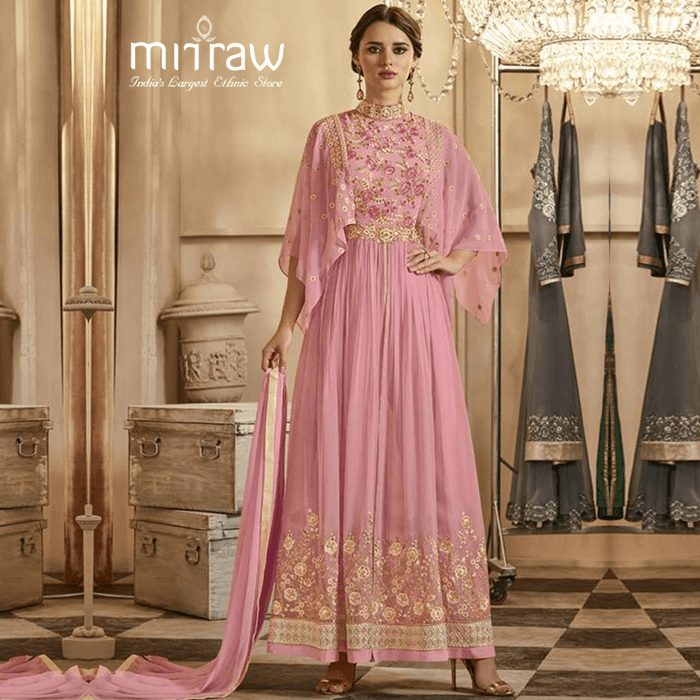 The touch of pink in the embroidery adds to the elegance of the outfit while the baby pink dupatta completes the look. You can also choose to get it stitched and the outfit comes with an Eid promise that assures that the outfit with stitching shall reach you before Eid. If you are looking at ordering something with a modern touch, opt for this simple and elegant straight cut kurta with sharara set from Kalki. The outfit is embellished with embossed thread and kundan work and is ready-to-wear. This suit is ideal for women of all ages wanting a more versatile outfit for Eid. This gorgeous printed Pakistani suit from Fashion Station is a fabulous pick for Eid. Its long sleeves, digital printed pattern and beautiful embroidered with elegant dupatta make the dress ideal for someone who is looking at a stylish suit for the occasion. One can order just the fabric or opt for their stitching service as well. Elegant and stylish, this pink semi stitched suit from Vasu Sarees is a great pick for those looking at something out of the usual for the occasion of Eid. Its stylish sleeves are combined with a pleated lower with a centre slit. Combine it with pants and the outfit is sure to get you lots of compliments. 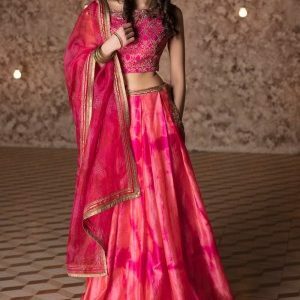 It comes with a dupatta and is semi-stitched so can be fitted to size. It has light embroidery to add to the elegance of the outfit. For those looking at something classy and stylish, this peach suit styled with wide legged trousers and a short kurta is a good pick. The sleeves are gorgeous, embellished with pearls and 3-d butterflies while the detailing like the ghera pattis, etc are elegant and intricate. The front of the suit has diamante work with pearls and the dupatta is heavy and stylish. The bottom is in net with a cotton satin lining provided. For little munchkins who want to be comfortable yet look stylish, this pretty sharara suit in net from Pspeaches is a great pick! The kurta is in a pretty rani pink colour and is combined with a bright orange sharara and dupatta. Light embroidery on the sharara lends it a dressy look while the elastic waist ensures it fits well and is comfortable to the child. Follow Firstcry on Streamz of GreatBuyz to stay updated on their latest news, sales, offers and more. Get coupons and offers from Firstcry on GreatBuyz for your online shopping. 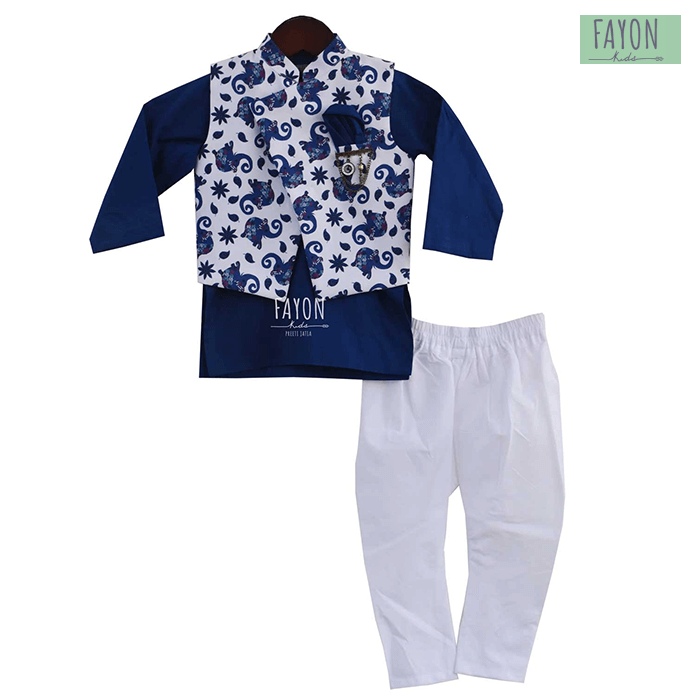 Let your little monster look dapper on the occasion of Eid in this kurta pyjama with Nehru jacket that has a traditional look with a lovely elephant print. The Elephant print jacket stands out on the dark blue kurta while the chudhidhar is made in silk to give it a dressy look. This lovely cotton anarkali suit is a perfect pick for Eid for your little princess. Made in cotton, it will keep her comfortable while the light foliage print and patch border work highlights the design. Follow Utsav Fashion on Streamz of GreatBuyz to stay updated on their latest news, sales and offers and more. 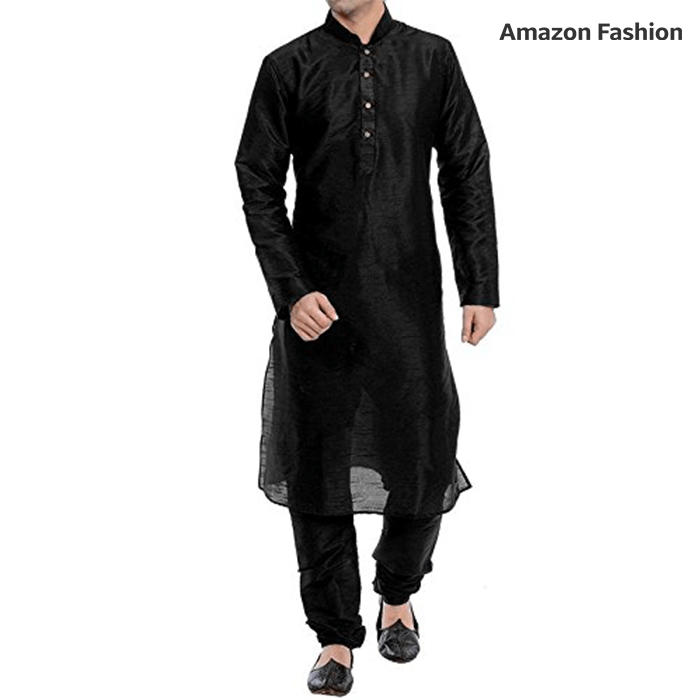 Timeless and classy, this black kurta pyjama is a fabulous pick for men for the occasion of Eid. Since its made in cotton silk it is comfortable and looks classy. 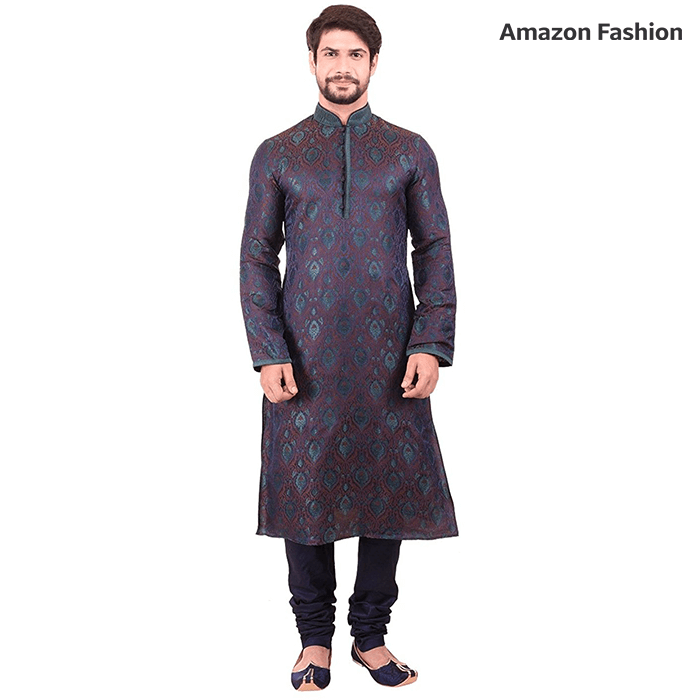 Combine it with a Nehru jacket or wear it as it is and dazzle as the moon shines bright. 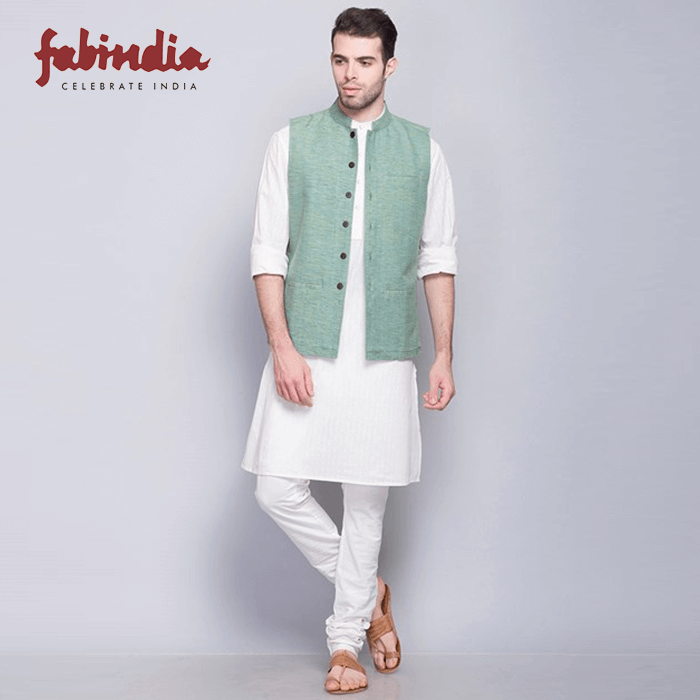 For those looking at a cool and casual Indian outfit for Eid, this cotton slub Nehru jacket made in cotton is a fabulous choice. It can be paired with a white kurta pyjama for a breezy look, or a dark blue kurta for a dressy look. For a swish party look, this blue embroidered kurta made with a blend fabric is a fabulous pick. Pair it with a pair of mojris and stand out at the Eid celebrations. 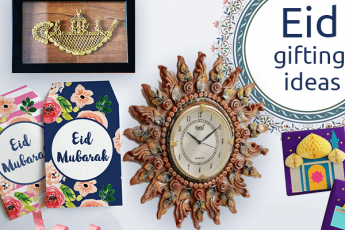 Amazon Coupons Follow AmazonWith so much choice available online for Eid dresses, who needs to visit the shops? Let the festivities begin!! Eid Mubarak to all!